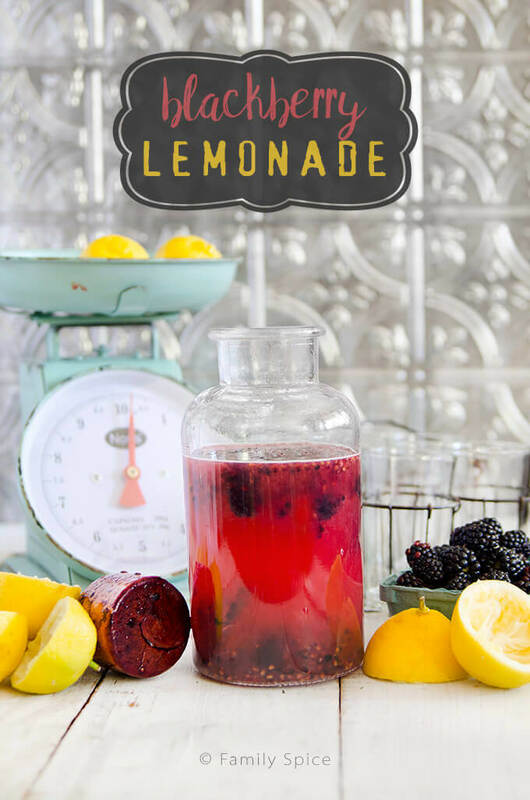 When you can’t wait for summer, this blackberry lemonade (inspired by my trip to Knott’s Berry Farm’s Boysenberry Festival) will take you away to lazy summer days, laughter and fun in the sun. Sponsored by Knott’s Berry Farms. Despite my pleadings, my kids are growing up quickly. Those days of popsicle stained hands blowing bubbles in the backyard are a treasured memory. My eldest is finishing his sophomore year in high school. College and adulthood are in my distant future and I just want to hug my giant baby and not let go. Luckily, he doesn’t mind my bear hugs. Middle Child will starting high school next year. ACK! He’s my little baby boy — what happened?! And my Princess? She’s finishing her first year of middle school, has dropped her pretty dresses for the standard middle school attire of shorts, t-shirt, sweatshirt and converse shoes. So this summer, I’m planning on lots of special experiences and time together because it goes by way too fast. Making special time to be a family can be tough as the kids get older. They each have their own set of activities we have to shuffle them off to – volleyball, scouting, theater, choir, NJROTC, to name a few. Weekends are equally busy with games, performances and campouts. Add in extended family and I start to notice that the five of us aren’t doing as much together as we used to do. 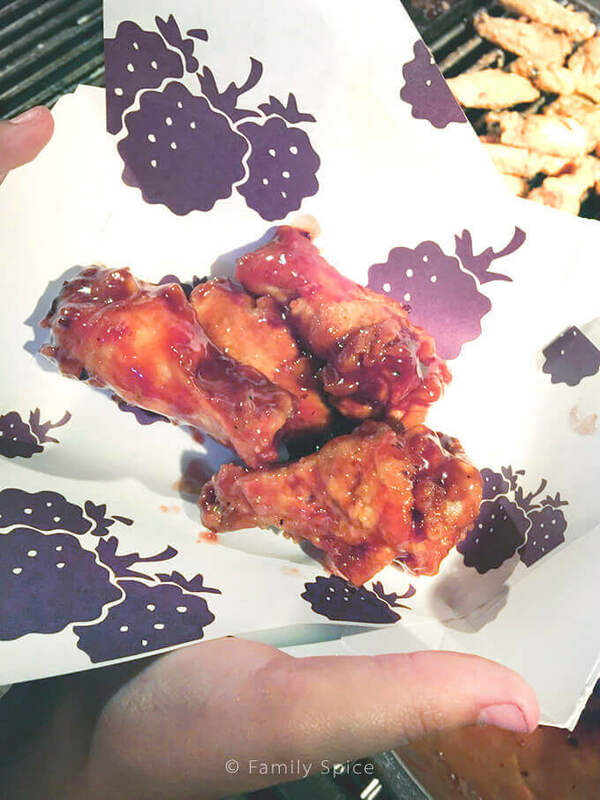 So when Knott’s Berry Farm invited me AND my family to enjoy a day at their park eating up good food during their Boysenberry Festival, I literally jumped at the chance. I told my husband, “Do NOT schedule anything on this day. The five are going to spend some quality bonding time together!” He didn’t put up a fight. He was feeling the same pang of the kids growing up too fast. If you ever visit Southern California, there is a plethora of things to do and see and experience. 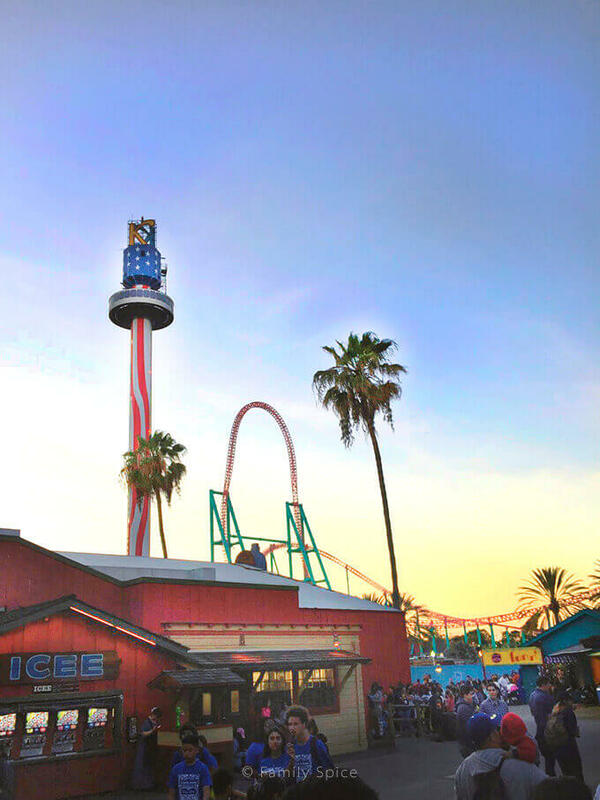 And if you are a thrill enthusiast, love Snoopy and/or enjoy great food, you have to visit Knott’s Berry Farm. From San Diego, it’s only a 90-minute drive, easy enough for a day trip. I have visited the park several times, but was surprised to see the crowds showing up for their Boysenberry Festival. The whole park is decorated with berries and farm fare. 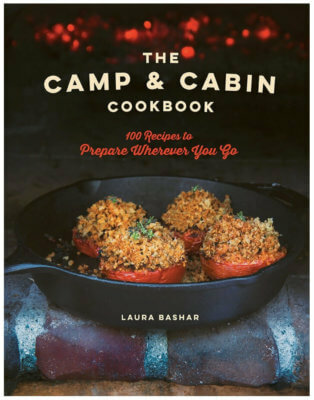 And the menu is filled with everything boysenberry – pizza, barbecue, drinks and desserts. My eldest was ready to eat everything boysenberry. Well he is a 6-foot tall 16-year old. He eats ALL THE TIME. Middle Child was all about the roller coasters. Bummer for him, most of his family are wimps when it comes to these rides. Step in Daddy, who was starting to get a cold and had to sit in the front row for every ride his boy wanted. And my Princess? She was happy with the not-so-crazy rides and Snoopy. She might be 11, but she still loved the kiddie stuff. We were given entry to the park, tasting cards and drink cards for the hubs and I. 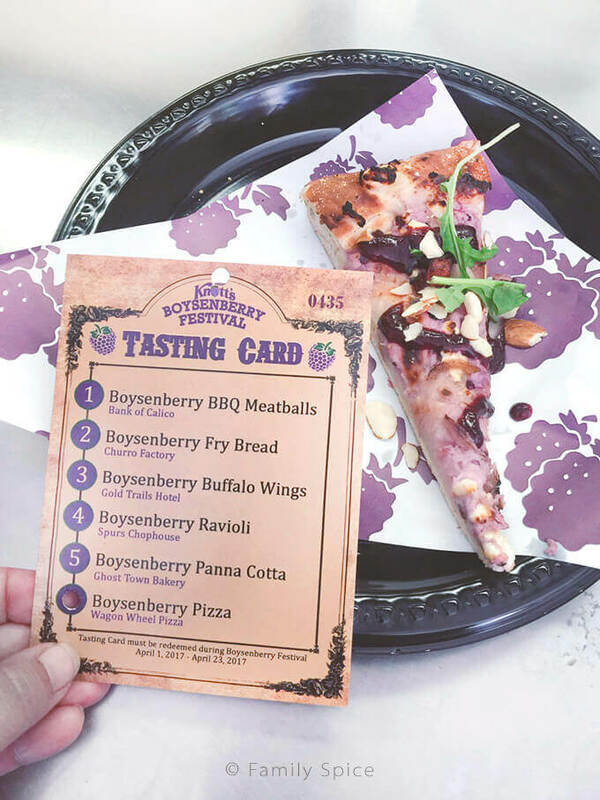 Our tasting cards let us sample a variety of boysenberry delights: pizza, meatballs, ravioli, wings, panna cotta and fry bread. And that was just some of the boysenberry eats available at the park. We had plenty of food to eat to keep our tummies full – sample size does not mean small size! This is one of the many reasons why I love visiting Knott’s Berry Farm any day of the year – the food. Some parks fall short on this crucial component of family fun. 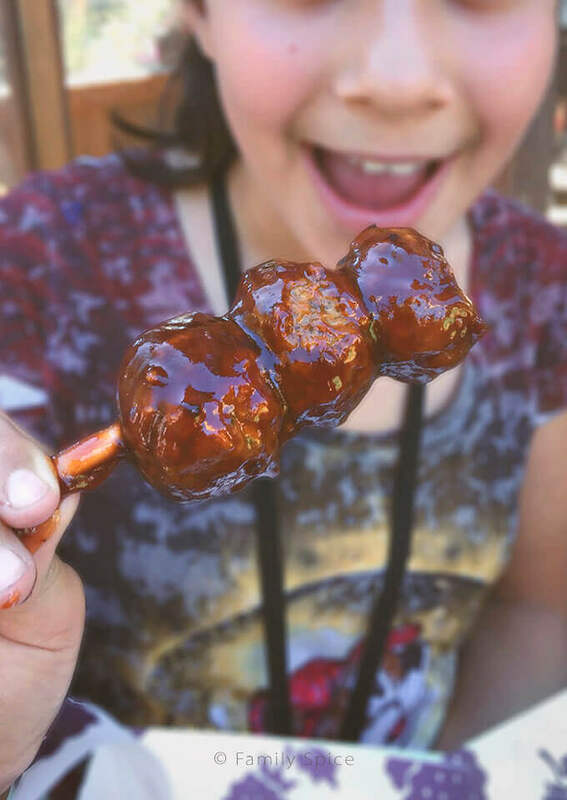 Yes, you can find burgers and hot dogs here, but you also get a variety of seriously good eats while visiting Knott’s. The younger kids may not appreciate the variety, but the parents certainly do! But I’ve spoiled my kids – they like good food, too. The two family favorites were the boysenberry meatballs and buffalo wings. I thought for sure they would pick the dessert dishes, which they loved, but no wings and meatballs were top faves. 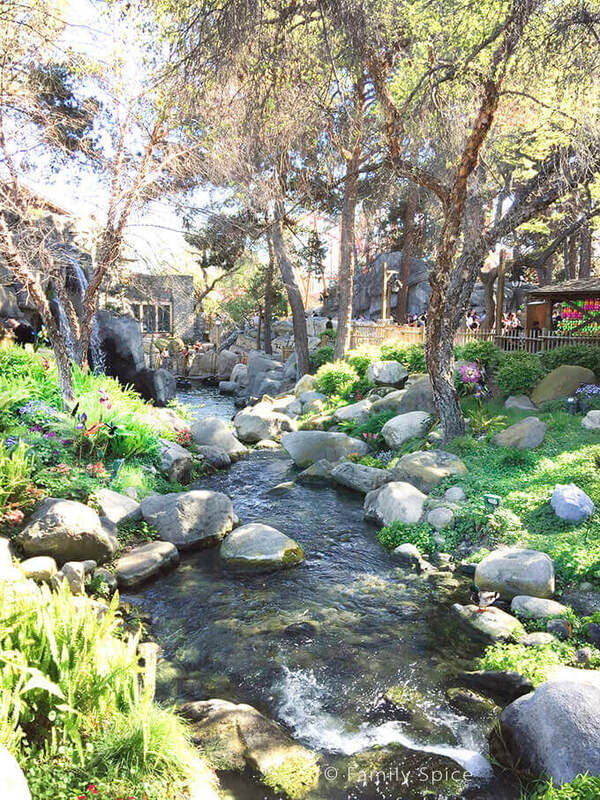 Unlike other big parks, Knott’s Berry Farm really did start out as a working farm. Walter and Cordelia Knott moved in to Buena Park in 1920 to farm 20 acres of rented land. By 1927, he was able to purchase 10 acres of farm land. The next year, the Great Depression hit. Land prices plummeted, so Walter bought an additional ten acres at the lower price. 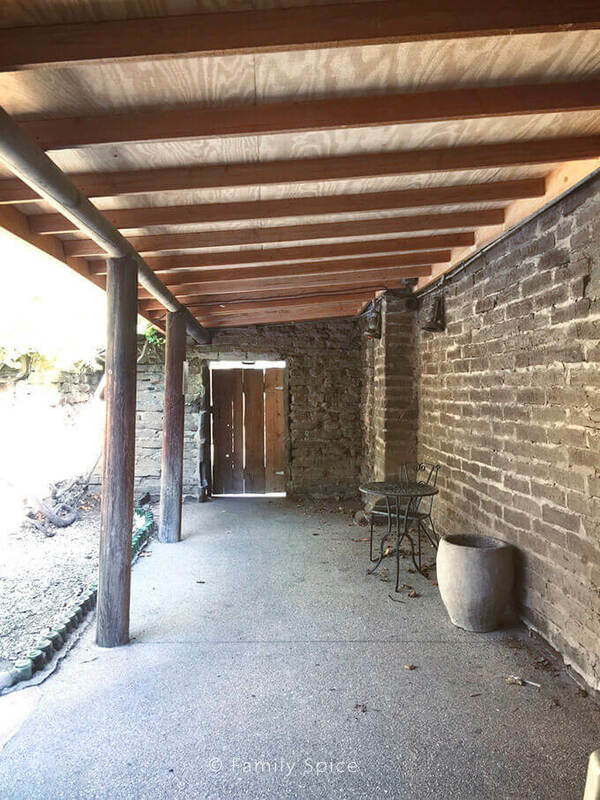 He spent the last of the family’s savings to build an adobe structure that became the Farm’s first permanent building. By 1928, this building was 80 feet long and housed a tea-room, berry market and nursery where berry plants were sold. It wasn’t until the 1930s that Walter Knott became associated with the “boysenberry” which became the family’s trademark. Rudolph Boysen was experimenting with a new strain of berry, but his plants kept dying on the vine. Walter took these sad looking plants, nurtured them to health and became the first man able to cultivate the “boysenberry,” named after its originator Rudolph Boysen. The boysenberry is a cross between a loganberry, red raspberry and blackberry. And all boysenberries in the world can trace their roots to Knott’s Berry Farm. And you can purchase your very own boysenberry plant at the park during the Boysenberry Festival! Many of the original structures built on the farm are still standing today and used at the park. 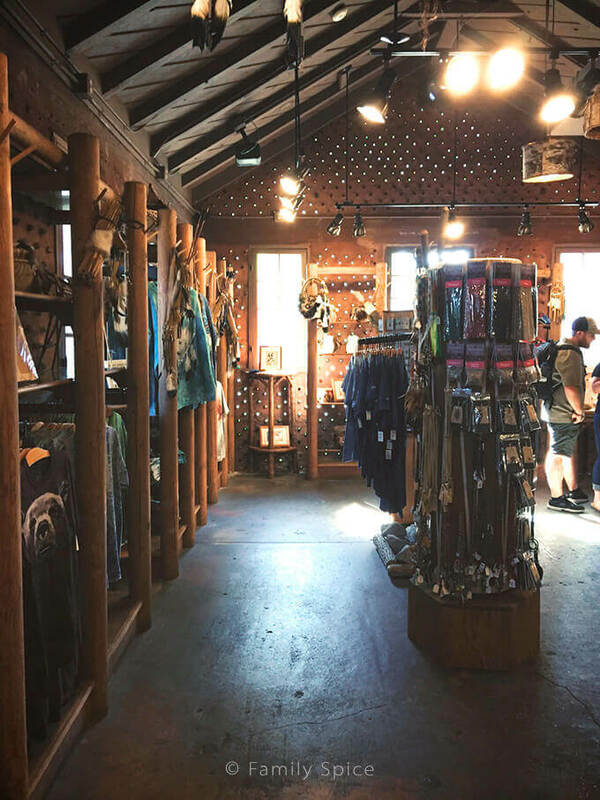 The buildings in Ghost Town were authentic Old West buildings, some built as early as 1868, that Walter Knott purchased because of their authenticity. The bottle house, pictured above, is an example of how buildings were built when materials were in short supply. Because most of the towns in the Old West had taverns, empty glass bottles were plentiful and were often used to construct houses. The Bottle House of Knott’s Berry Farms was constructed out of 5,419 bottles! One of our favorites parts of the park to visit is the Old West themed Ghost Town. 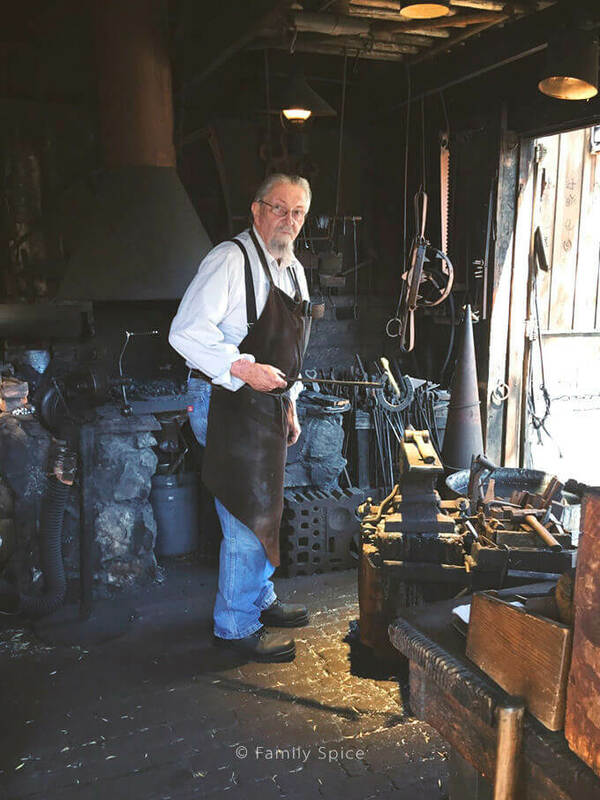 You can visit the blacksmith, school house, museum and many other neat places to learn about California history and the Old West. Ride a stage coach, old fashioned railway and even watch a chainsaw wood carver works his magic on a log. There’s lots to learn and experience here. Because we went in April, everything was in full bloom. The gardens were gorgeous and I loved chillaxing in the shade with my AH-Mazing Boysenberry Cider (hubs enjoy the Boysenberry Beer) and enjoying the beautiful surroundings. It’s also a great time to sit, rest the aching feet and re-energize for the rest of the day! Everyone had a fabulous time during our visit to Knott’s, as I knew we would. And we seriously had a fun hanging out, just the five of us as a family – not during a volleyball game or scouting event or school performance. But just some goofy, family fun, eating and horsing around. This is what I want to do all summer! Although the Boysenberry Festival is drawing to a close, I hope you plan to visit it next year. 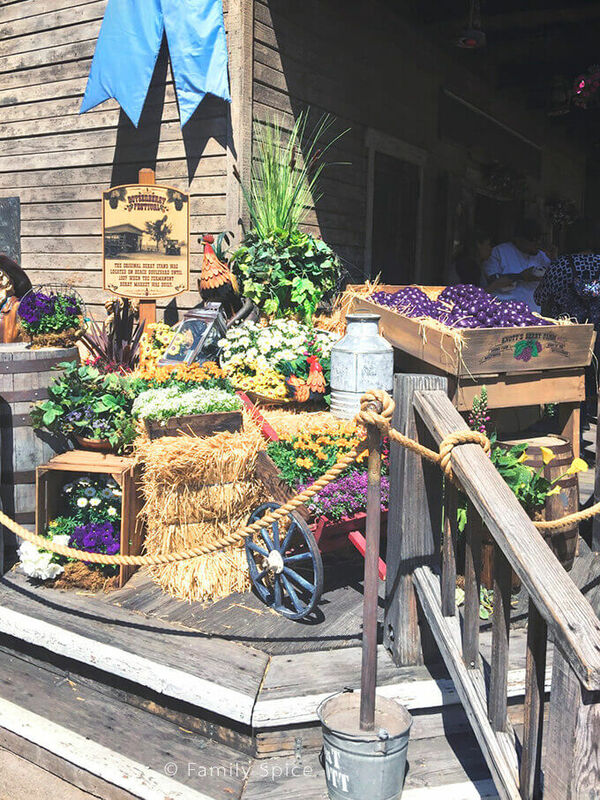 Of course, good food is always found at Knott’s Berry Farm any time of the year. And their other fun events thoughout the year like Knott’s Scary Farm and Knott’s Merry Farm, are a must. The kids loved the boysenberry lemonade they enjoyed at the park, so we bought some boysenberry concentrate while we were there. They finished that bottle in a few weeks. 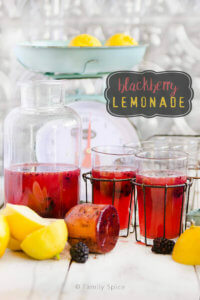 Although I couldn’t find fresh boysenberries at my local store, I did find these sweet blackberries and made some blackberry lemonade for the family. It’s only April, but we are SO ready for some serious summer fun! Want more lemonade flavors to try? Here’s my Roasted Grape Lemonade. 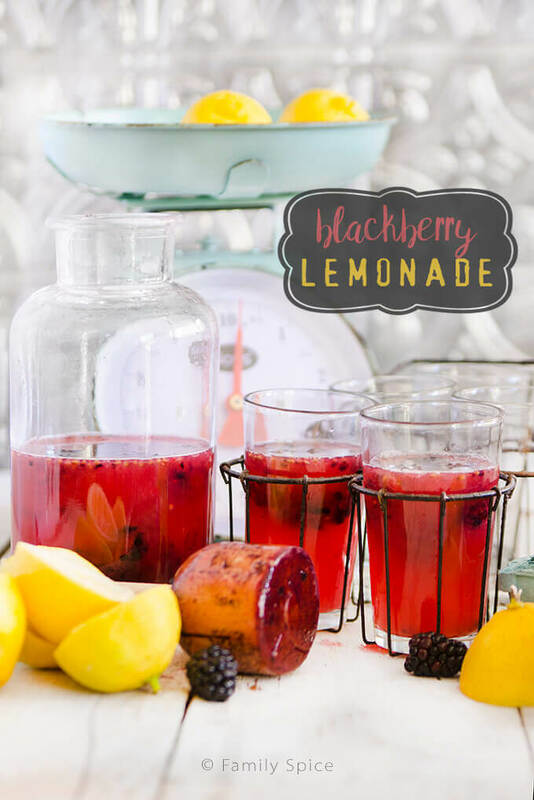 When you can't wait for summer, this blackberry lemonade will take you away to lazy summer days, laughter and fun in the sun. Add blackberries to the pitcher and stir. 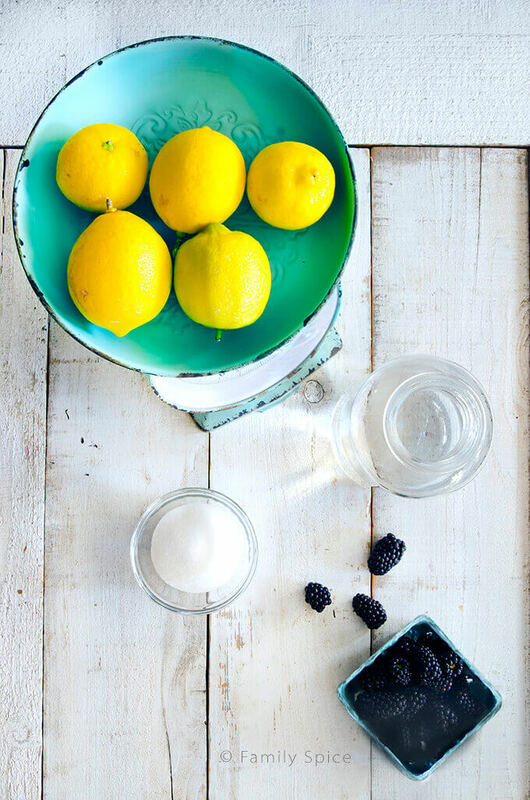 For a smoother lemonade, you can also combine all the ingredients in a blender and process until smooth. Pour through a colander to remove the seeds. Note: Sugar can be more or less depending on taste and sweetness of fruits use. 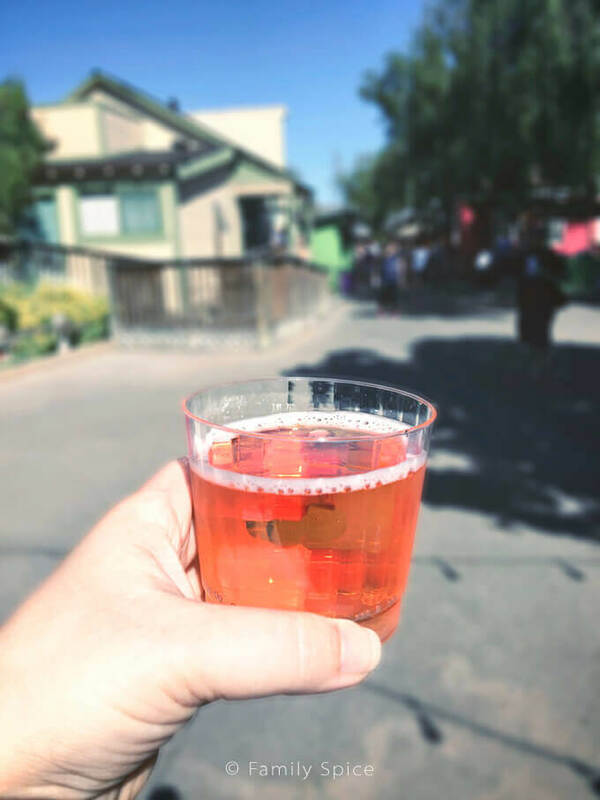 Disclosure: Knott’s Berry Farms gave me and my family free admission, food passport and drink passport during their Boysenberry Festival at their park. I was not paid in any other way to write this post. The story I have written is all true, and the opinions are truly mine. If I didn’t like it, I wouldn’t blog about it. Great refreshing summertime drink. Can also make from frozen blackberries in the dead of winter to shake off the wintertime blahs. What a great memory, Liz! I’m so mad that I didn’t bring home a boysenberry pie. I’ll have to do it next time.